Imitation 50 Cal bullet with Chrome accents and a 430 Stainless Steel Ice Cream scoop. This is a chrome finish pocket clip for the 50 Caliber Pen kit. 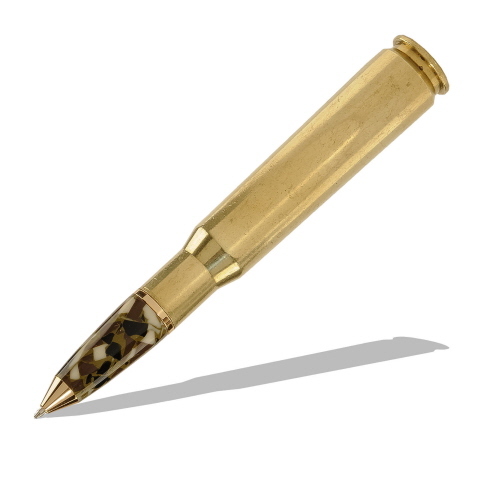 This is a Gold finish Pocket clip for the 50 Cal pen kit. This is a Gunmetal finish pocket clip for the 50 Cal pen kit. Imitation 50 Cal bullet with Chrome accents coupled with a Chrome Razor Handle kit.